Update: My teacher gave me 89 points! Last time I wanted you to rate my spoken Chinese, now I let you to take a look at one of my essays in Chinese. I was really surprised when I got 89 points from my first essay at writing course (写作课). And even more surprised when I heard that the best essay was written by a French girl who got 90 points. Even teacher didn’t guess that the best essays would come from two Europeans! That essay’s topic was quite boring for you, just ideas what I wanted from our course. That’s why I’m letting you read my second essay (in the picture above!) which was written based on a few pictures on our textbook. The first essay was written at home and I used about two or three hours to write it. The second one had to be written during class and we only had 45 minutes. I used 50 minutes and still the essay is too short! I’m not telling you just yet how many points my teacher gave me, but I would like you to grade this essay! How many points you want to give me? Remember that 100 points is the best score and if it’s lower than 60, I guess it’s failed. Just to note we had our books and dictionaries infront of us when writing, but there wasn’t too much time to use them! Wow, what a way to start a new school term climbing white cloud mountain with four course mates, chatting about male teachers and who loves whom as girls oft do and then being forced to descend because of change of weather and finding that there was no public transport station at foot of mountain! And to be found the following day by an elderly man of five very dizzy and weary damsels. Ha, ha. Fun. And funny. Simple and direct. I would give you an 80+ too for a first time effort. Thank you for your grade, let’s see if others agree with you! Sara, I guess 公车 is taxi in China. If so, necessary correction to taxi station or stand in my earlier comment. And the word should have been “loved” not “loves” in the context. No, I don’t think it was tragic. I think it was funny if not fun. You are getting along in Mandarin. Keep it up. BTW, the word for “relax” you used the word “pine” which is a bit odd for someone like me who were taught in traditional Chinese – we were taught the word is : 放”鬆”. I am guessing in the mainland they simplified it to 放”松”. Also, I am not sure if that’s the way they speak in mainland, but I thought 放松 sounds a bit odd. Normally in this context you would say “轻松”. 轻 being the adjective. So, 心情很愉快很轻松 sounds a bit more correct to me. Maybe I am wrong but ask your teacher about this. There are couple of little things I thought probably won’t matter but it makes the sentence flow a little better : add “是” in 真倒霉 and so it’s “真是倒霉”. You can say 真倒霉, but 真是倒霉 sounds a little better. Oh yeh, I was just reading this guy’s blog http://poagao.org/chinese/ – maybe inspirational for you – he writes at completely fluent level Chinese – which is very entertaining to read. He also write in English (kept 2 blogs : Check http://poagao.org/pjournal/ for his English blog). Interesting guy. Thank you for the link Jack, I have to check it out! Also a big thank you for grading my essay. Actually I have problem with remembering how to write characters too. When writing these essays I can always check with my mobile if I don’t remember how to write a certain character, but in exams and in HSK I certainly can’t do so. I really have to learn to write essays without any help! Oh boy this reminds me of my tests back in Uni. Had like 10min to write something (hence using dictionaries wouldn’t help). I’d rate this 80+. I really need to start writing more! 10 minutes? I’m sure that in such a short time I couldn’t even decide how to start my story. I have to learn how to write faster and not to think too much if it’s going to be an amazing piece of work or just a boring essay. 的士(deshi). If we say 公共汽车 (gonggongqiche)for bus or 出租汽车 (chuzuqiche) for taxi, Malaysian Chinese are likely look at you like they have seen ET although the longer names are technically correct. How careless of me anyway. Jack has a point on the 放松(fangsong) and 轻松(qingsong) thing. 放松 is more like let go and 轻松 is relaxed. But真倒霉(zhendaomei)is more like a loud exclamation than a mere statement and may be alright in the context although I am not expert in Mandarin, far from it. Well, about Bus and Tax, in Taiwan, Bus is translate to “公车” (public car – the shortening of 公共汽车 I guess? 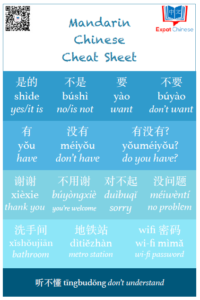 ), and you can use “巴士” because its colloquial and people would understand you as well. Taxi on the other hand, is called “計程車” (“car with metering”) in Taiwan. Which is different to HK, Malaysia, Singapore and China where they call it 出租車. There are a lot of interesting differences arise from foreign/loan words (“Laser” for example), but that’s a huge topic probably good for a dessertation :D.
Hei Rui! Totta kai muistan sinut! Kiitos kovasti, etta loysit blogini ja jatit kommentin. Olet oikeassa, nautin kovasti elamastani taalla. Sinakin kirjoitat suomea todella hyvin! Oletko suunnitellut matkaa Kiinaan? Hi Sarah, me again! I think your essay is good and clear! 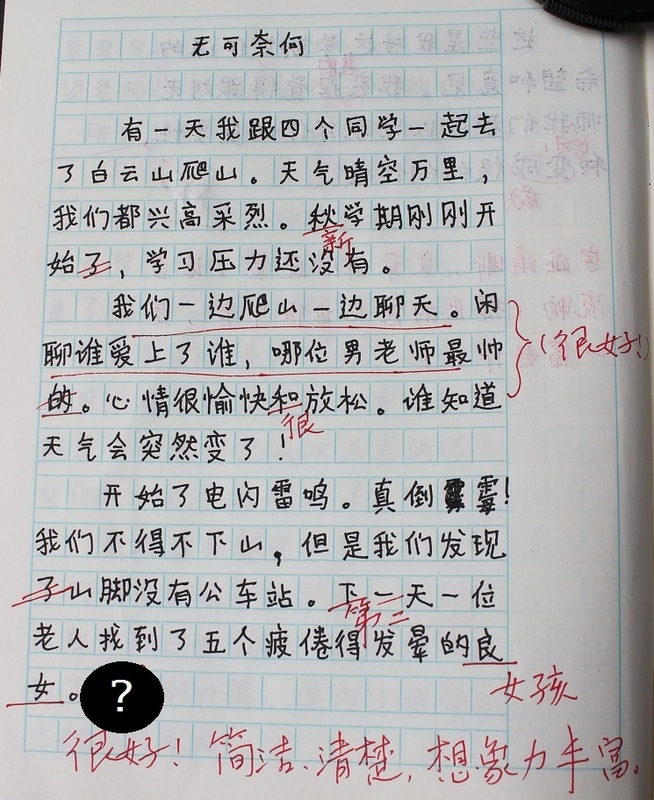 U must notice that sometimes the teacher’s mind is too Chinese that he or she might think your essay is a bit strange! But I like it very much! BTW this teacher is not Cantonese-speaking! Because he or she doesn’t know “靓女”（Beautiful girls）in spite that u have written the wrong 汉字 “良”.But I can understand u! U r great! Thanks Gaby for letting me know the correct word for 靓女, that’s what I was trying to write, but never checked how it’s really written. It is not very good. I’ll give about 65-75. Anyway, how old are you? I guess 7-9. Am I right? I think it’s pretty good. i probably will give you 85 if i were your professor.